Oklahoma weather is weird. It's one of those places where you can leave the house in a winter coat and come home in shorts at the end of the day. You never really know what to expect. Last week was one of those crazy weeks for us. 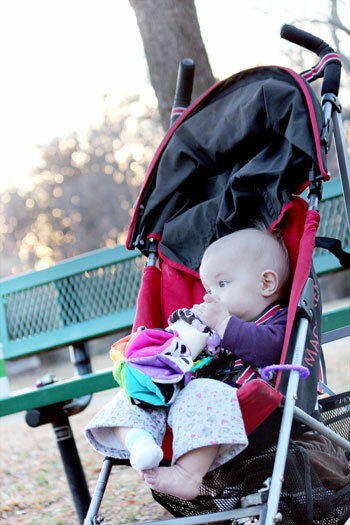 It was nearly 80 degrees on Tuesday so we loaded up and went to the park. Such a beautifully, perfect fall day. 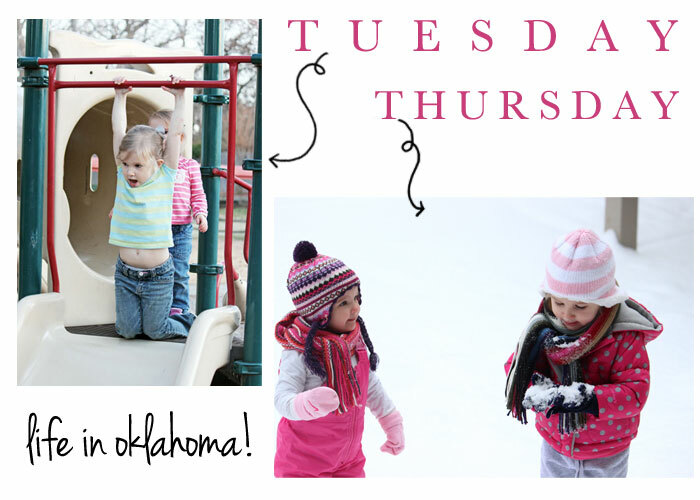 because Thursday the temperature dropped to about 10 degrees and we got nearly 1/2 a foot of snow! We have been stuck at home since Thursday and since our driveway is on an incline, my van is stuck in the garage while our driveway is under four inches of snow and a few layers of ice. We've been trying to make the most of our time inside instead of focusing on the cabin fever. We've made cookies, colored 500 pictures and watched approximately 75 episodes of Mickey Mouse Clubhouse. Maybe some snow ice cream today? I don't know how you people who live in the weather like this for a long time! I don't know how to handle it. We typically get a day of snow and then it's melted and gone. I'm getting low on coffee and fresh air so hopefully the ice will start melting soon! As beautiful as the snow is, I wouldn't mind a 75 degree day at the park! I wasn't built for cold weather!